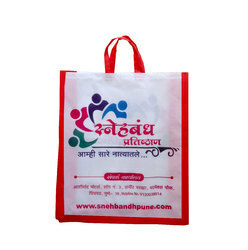 Pioneers in the industry, we offer loop handle bag from India. In the manufacture we are introducing high quality raw materials fulfilling the clients demand. The handles are also made of same material and same color. We are incorporating more than 10 colors in our products. Loop Handle Bag are durable and smooth in nature. Looking for Loop Handle Bag ?